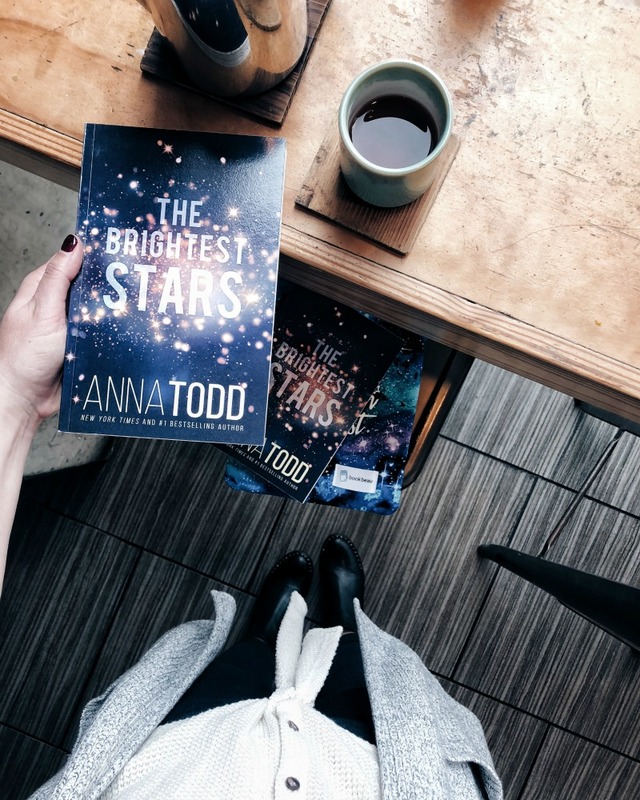 In Anna Todd’s newest book, THE BRIGHTEST STARS, a young girl finds her path to love paved with secrets and lies, forced to bear the many scars scored by the harsh and often hidden realities of military life. Todd imbues her signature, irresistible angst and intensity into this star-crossed tale of love between two young people, and I’m thrilled to chat with her the novel. Plus, make sure to enter to win a copy of the book by heading to my Instagram, or clicking the photo below. Vilma: Tell us about THE BRIGHTEST STARS, and the inspiration behind it. It feels, at a high-level, like a very personal story. Anna: The Brightest Stars is the beginning of the story of a young couple, Karina and Kael. They’re both working on navigating life changes and Kael just got back from Afghanistan for the second time, all before he could legally buy a beer. It’s personal to me, as my husband is medically retired after serving three tours over eight years in Iraq. I was inspired by our experiences, even though the characters are plot are very different from my life, I can relate to both of them and really tell their story from a place of my own personal experience. Since the military life is more of a setting in their story, I think everyone can connect with the love story, whether you’ve been exposed to the lifestyle, or not. Vilma: It’s also a different kind of love story than what readers may be used to coming from you. Still angsty, still intense, but different. Was it different for you as you wrote it? Did it feel easier or harder? 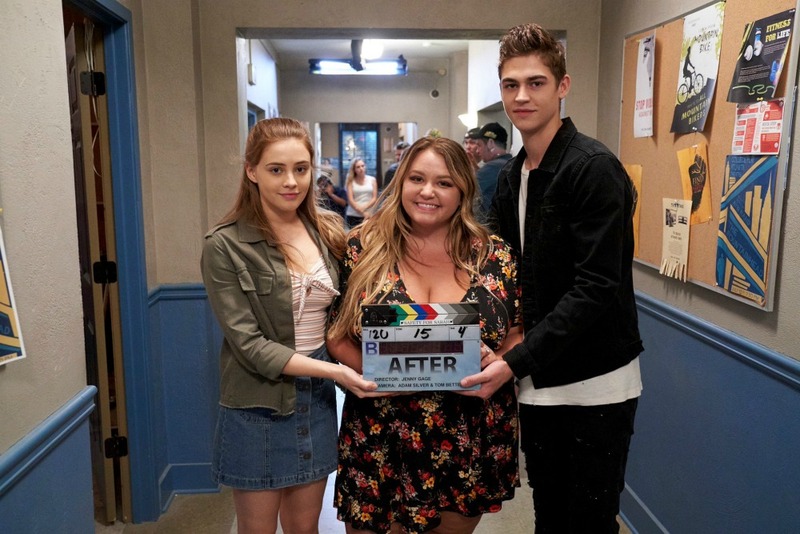 Anna: It was completely different than my experience writing the After series and The Spring Girls. With After, it was fanfic life lol, so I wrote a chapter a day and had never written anything before. Now that I have nine books and have worked with publishing in the US and internationally, the process is different because I have such a close relationship with my readers that I connect with them differently through each book. Now that most of them have aged up a little, I let my characters grow with them. Also, since The Brightest Stars theme was something so close to home, it felt different and brought back a lot of emotions, fears, everything from that period of my life. Vilma: Tell us a little bit about both Kael and Karina. Vilma: What do you think it is about Kael that attracts Karina in the beginning? Anna: I would say it’s that she can be herself around him, above all. She’s used to playing a part with basically everyone else in her life. From her twin brother, Austin, to her harsh father. With him, she can shut off her mind a little and not have to put so much energy into being who she thinks people want or need her to be. Vilma: In this story, their entrenchment in military life amps the intensity and complexity of their relationship. Their romance doesn’t really blossom under the most typical circumstances. That you can share, what is it about their environment and situation that complicates their relationship? Anna: I think when things are exceptionally tough, it’s easy to shut down and sort of shelter ourselves from the world and the people around us. The two of them have done this, or attempted to, and I love stories like this, where human nature and love conquer all. Especially because real life can be so hard sometimes, it’s nice to have hope. Vilma: There are three books in the series: The Brightest Stars, and two more books to come. What do you hope readers will take away from Karina and Kael’s story by the end? Anna: I hope readers take away hope. I haven’t really thought about this honestly. I usually let the reader decide what it means to them. I feel almost like I’m just the mouth piece of the story being told. Vilma: I’d be remiss if I didn’t ask you at least one question on the After movie that just recently wrapped. What was that experience like? Any particular scene you are super excited for us to see? Anna: It was life-changing honestly. A few years ago, I could never have even dreamed of any of this. I feel like my life is an actual movie! I learned so much by being on set every day and being an active producer on the film. It really was a crash course into film making. We got so lucky with our cast and we have all really become like a family. It was so incredible to see my words come alive on screen through Hero and Josephine. It was better than I ever imagined it would be. Their chemistry is honestly INSANE and I’m dying to share it with the world. The trailer will be out around Thanksgiving, so I can’t wait! I would say the lake scene. I think it’s going to be a favorite, for sure. Eeek!! Vilma: Before we finish, I love asking about what you are reading and loving. Are there any books you’ve read recently that you’ve loved, or any you look forward to diving into? 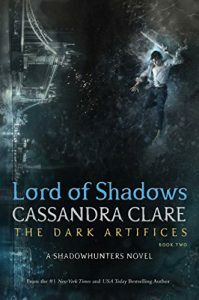 Anna: Right now I’m finally reading Lord of Shadows by Cassandra Clare, who happens to be my favorite author of.all.time! I’ve been so busy with filming After, writing, touring, all the things lol, that I haven’t had as much time to read as I used to. 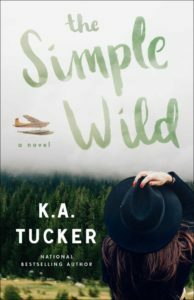 I also recently finished The Simple Wild by KA Tucker and it was fantastic. One of the best books I’ve read in a really long time. Vilma: Thanks so much for coming on the blog and talking about THE BRIGHTEST STARS! I loved it and I think people are going to be so drawn into Karina and Kael’s love story. 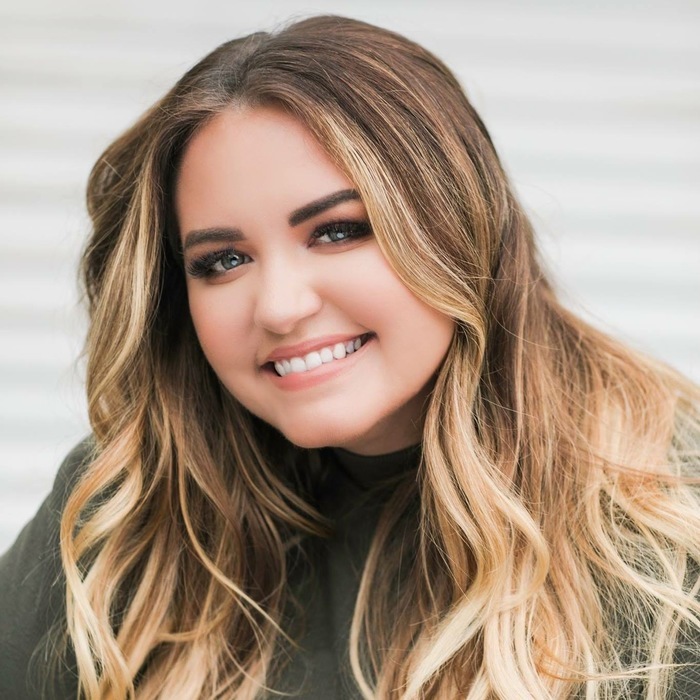 International best-selling author Anna Todd returns with a gripping novel about a young woman’s journey toward love and the obstacles life throws up at every turn. Karina knows the harsh realities of military life. Like anyone who has grown up around an army base, she knows the background noise that follows a soldier home from war. That’s why she’s forging her own quiet life in her own little house. But she hasn’t turned her back on her family. She’s the glue that holds them together – when her father is deployed, when her brother, Austin, has another brush with the law. Karina knows she has to look after herself, that she can’t always fix what’s broken. But when Austin’s behavior worsens and her father’s reactions grow more extreme, Karina feels her own edges beginning to fray. That’s when she meets him – a closed book she’s desperate to open. At just 20, Kael is a handsome, brooding soldier struggling with the aftermath of two tours in Afghanistan. He’s emotionally damaged and closed off. Quiet doesn’t begin to describe him. But as Karina gets used to his stable presence, she finds it hard to ignore the way he makes her feel. In their time together, she finds the stillness she has always wanted and never found. She lets down her guard. She lets herself fill in the blanks about this mysterious man. But illusions quickly made are quickly shattered. That’s when Karina has to find her own courage – to untangle the truth from the lies and decide what she’s going to do about it. A riveting story about love and lies, The Brightest Stars will stay with you long after the final moment. 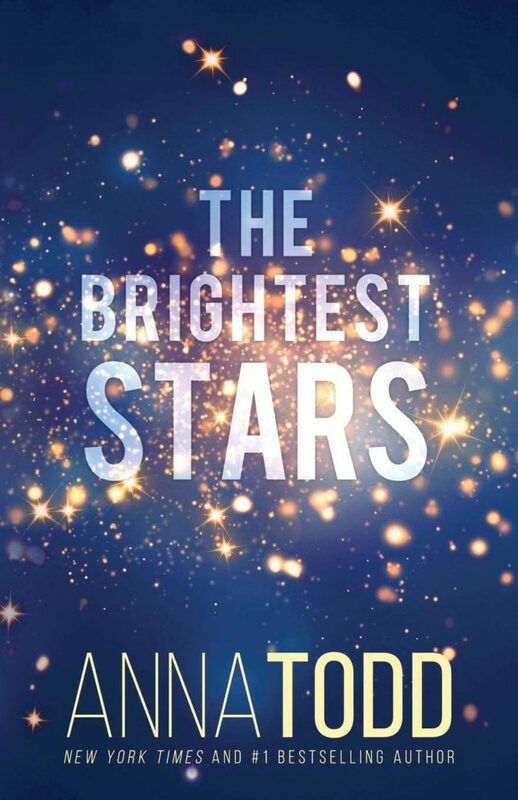 Enter to win a print copy of THE BRIGHTEST STARS by Anna Todd. Click the image below to enter.